"The battle belonged that morning to the thin, wet line of khaki that dragged itself ashore on the Channel coast of France." Almost 70 years ago, on June 6, 1944, over 5,000 vessels—the largest invasion force in history—stood out to sea just off the shore of Normandy, awaiting the signal to land in Europe and start the long task of beating back Hitler's army. Two American infantry divisions and nine companies of U.S. Army Rangers were tasked with taking the 6-mile stretch of beach code-named Omaha, above. 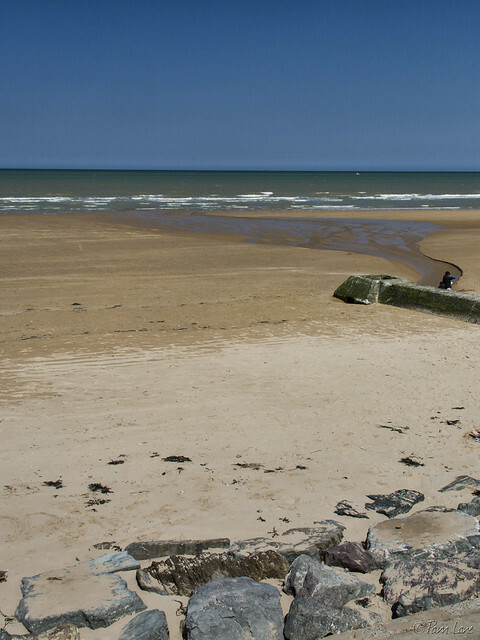 Between them and some semblance of safety lay 200-300 yards of beach that offered no protection from the German snipers. American casualties were estimated at 2,400. 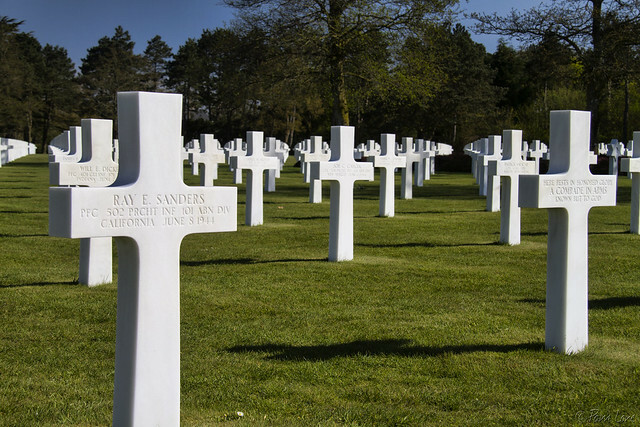 Many of these are buried at the American Military Cemetery that overlooks Omaha Beach. 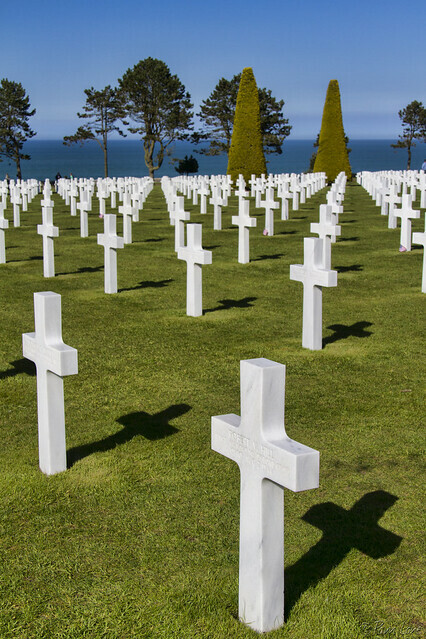 In the words of Rene Coty, President of the French Republic, "We do not forget, we shall never forget, the infinite debt of gratitude that we owe to those who have given all for our freedom."